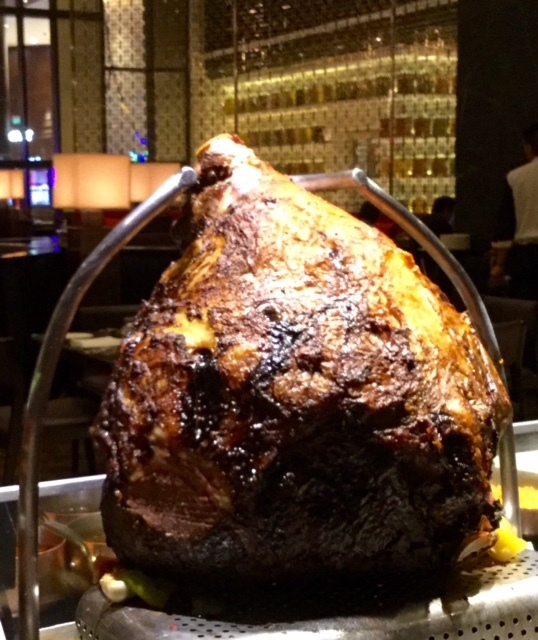 Prepare a hearty appetite for the Idaho Meat Fest, currently dishing out splendid meaty selections at the Café, Hyatt City of Dreams Manila, in partnership with Snake River Farms. 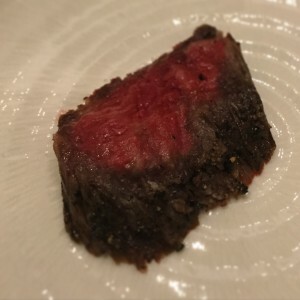 During the four-day feast happening from April 14 – 17, guests will enjoy mouthwatering dishes made from the finest, tastiest meats including Kurobuta pork and Wagyu beef. 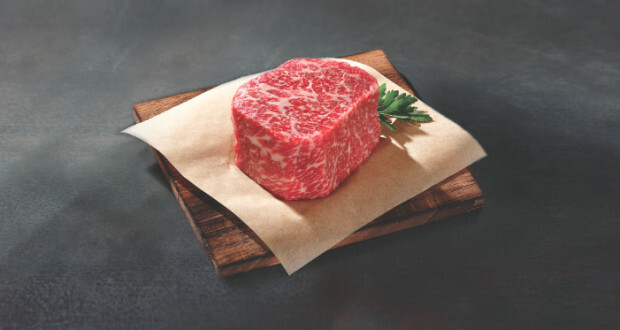 Green grass bull from Snake River Farms in Eastern Idaho is raised with a slow-paced, sustainable diet resulting in delectable beef that is exceptionally tender and flavorful. 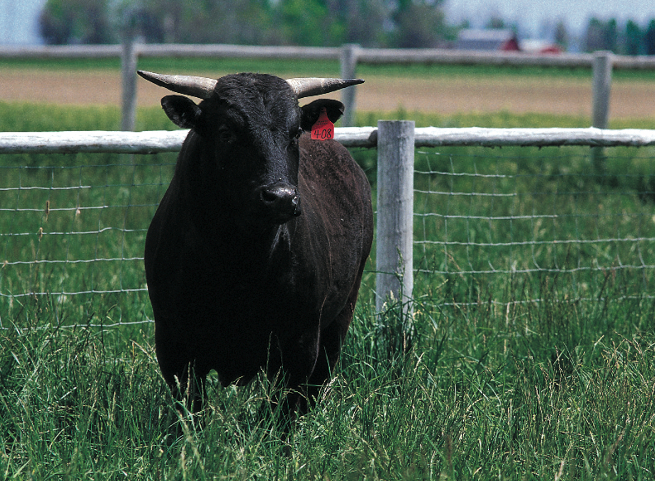 Snake River Farms in Eastern Idaho, USA, carefully selects Angus or Wagyu cattle and Kurobuta hogs and slowly raises them using methods adopted from the heritage-steeped Japanese feeding process. 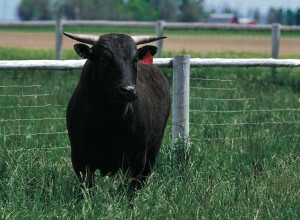 This includes a slow-paced, sustainable diet that takes up to four times longer than the traditional U.S. cattle production approach. 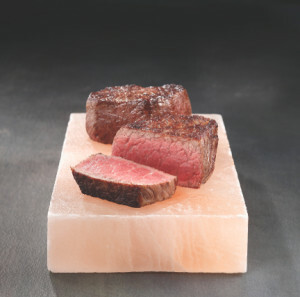 The result the feeding process is delectable beef that is exceptionally tender and flavorful, offering a one-of-a-kind dining experience, such as this Snake River Farms Filet on Salt. Guests can indulge in delectable prime cuts of Wagyu beef like the center cut sirloin and New York strip loin, that will be prepared by Guest Chef Matt Carter from Arizona, USA. 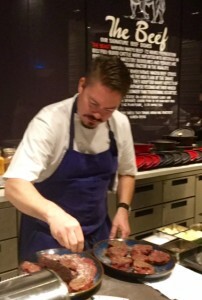 Guest Chef Matt Carter of The Mission restaurant will be at the Idaho Meat Fest at the Cafe, Hyatt City of Dreams Manila. 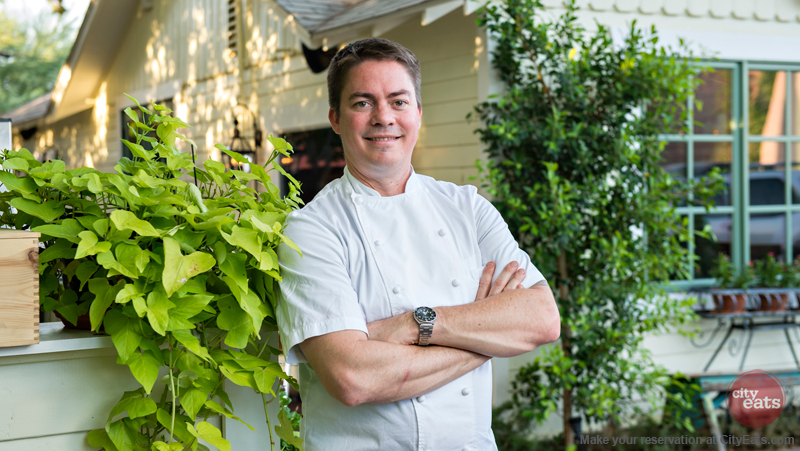 Chef Matt will be joining Hyatt’s Executive Chef Michael Luedtke and his team to cook American dishes everyone surely enjoy. 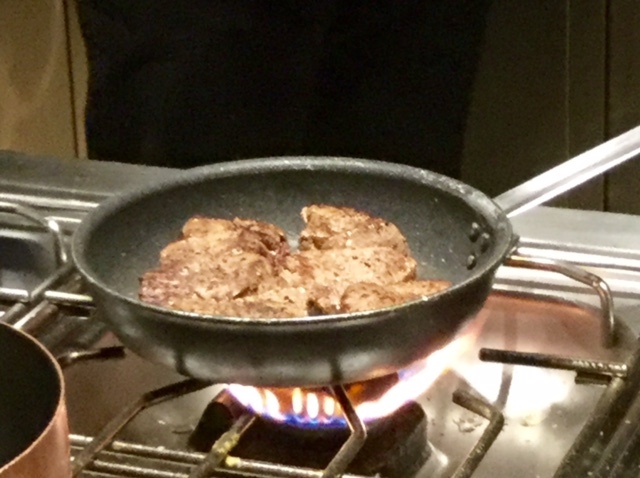 With the Café’s a la minute service, favorite meat cuts can be grilled according to preference before enjoying it, with a serving of Yorkshire pudding or having it stuffed in a quesadilla for a Mexican delight. 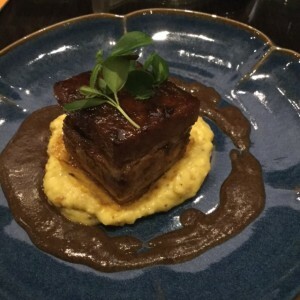 The array of Snake River Farms meat selections can be enjoyed at the various sections. Grill and Griddle will have SRF items, ready for grilling. The Italian section offers a bolognese sauce created with SRF beef. Comfort food and favorites will offer barbecued Kurobuta, as well as Steak and Frites in the evening. 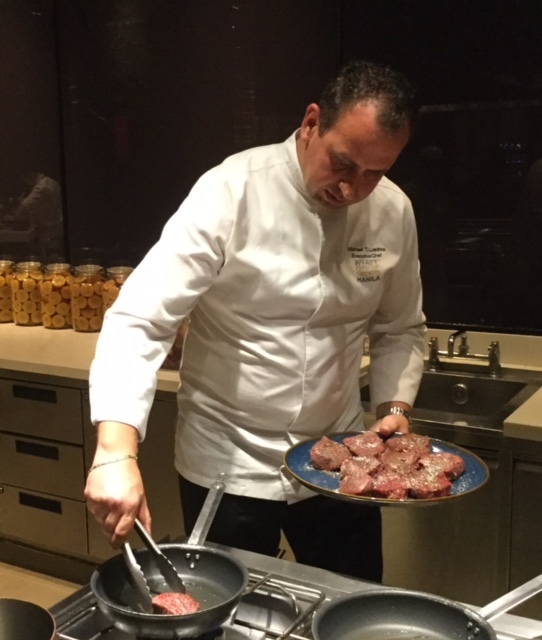 During a media preview held on April 14, Chef Matt and Chef Michael showcased Snake River Farms’ quality meat selections with a sous vide cooking demonstration. 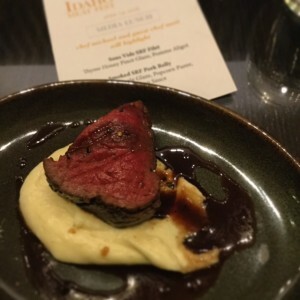 They prepared a Sous Vide Tenderloin Filet, accompanied by a thyme honey Pinot glaze and Pomme Aligot. The Smoked Kurobuta Pork Belly had a piquant spiced pineapple glaze complemented by an interesting popcorn puree and black bean sauce. The highlight is the Ribeye Cap, the premium cut from the ribeye with its perfect marbling, and simply seasoned with salt and black pepper. Guests can savor these culinary delights at the Café’s lunch or dinner buffet. Lunch buffet prices start at PHP 1,488 net, while the dinner buffet price is PHP 1,988 net.